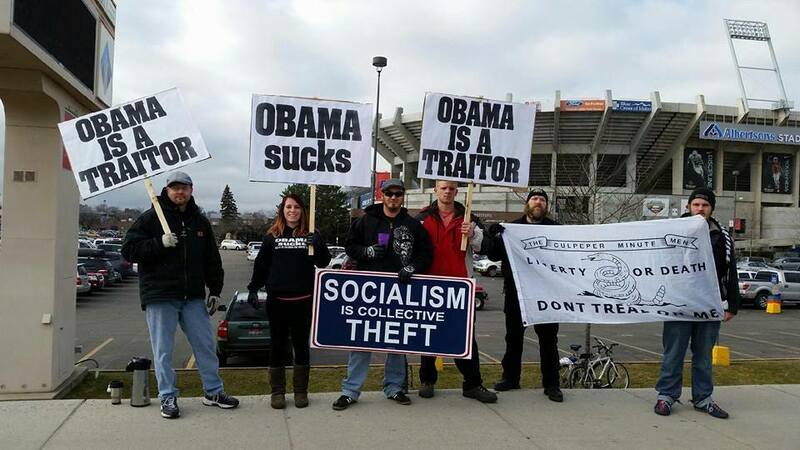 Atlanta Protest – Impeach Obama NOW! Dictator Obama will visit Atlanta on Tuesday, March 10 to receive the adoration of his followers at Georgia Tech University in Atlanta, Georgia . This information is provided as part of a nationwide campaign. Please click here for more info. Here is the Presidents schedule for March 10, 2015. The motorcade will likely arrive at Georgia Tech at about 1:00 pm, but you want to be at the protest site at least a couple of hours earlier to avoid street closing and parking issues. Caveat: The information above is provided by a remotely-located blogger with no guarantees of how the protest will turn out. It is an opportunity to protest Obama in his presence. It depends on the patriot groups and individual patriots in the area what they want to make of it. The groups on the ground in the area need to help promote the protest in order to make it a success. A good guess is that the motorcade will access the pavilion via 10th Street. If so, that is where the protest should be located. Be there plenty early to avoid traffic and parking problems. Those on the ground may adjust the location based on how things look on the day of the event. Take photos and video. Let this blogger know via the contact tab above, if you have an image or video to share.